Daulton Varsho has been surrounded by the sport of baseball his entire life. His father, Gary, played eight seasons in the major leagues, and has spent many years as a coach and scout following his playing days. With a father in pro baseball, Varsho has countless memories of the game. His favorite occurred in the early 2000s when his father was the bench coach for the Philadelphia Phillies. Varsho has also leaned on his father for advice, recalling one simple, but impactful, statement his father once told him. Those words have stuck with Varsho, who is thriving as a member of the Milwaukee Panthers baseball team. Last year, as a sophomore, Varsho had a tremendous season, hitting .381 with eight home runs and 51 RBIs, while also handling the everyday catching duties. Varsho was named Horizon League Player of the Year in 2016, becoming just the second sophomore in the past 20 years to win the league award. With the Panthers season starting on Feb. 17, Baseball America ranks Varsho as the 98th-best college prospect for June’s MLB First-Year Player Draft. Listed at 5-foot-10, 200 pounds, Varsho is undersized but has a tremendous hitting ability, presenting a balanced combination of power and plate discipline. Besides having a breakout season with the Panthers last year, he also destroyed opposing pitching in the Northwoods League last summer, hitting .321 with 15 home runs. Pleased with Varsho’s development at the plate the last two years, Doffek attributes his success to receiving around 400 at-bats each season between Milwaukee and the Northwoods League. As Varsho enters his junior season, Doffek hopes to see him improve his arm strength. 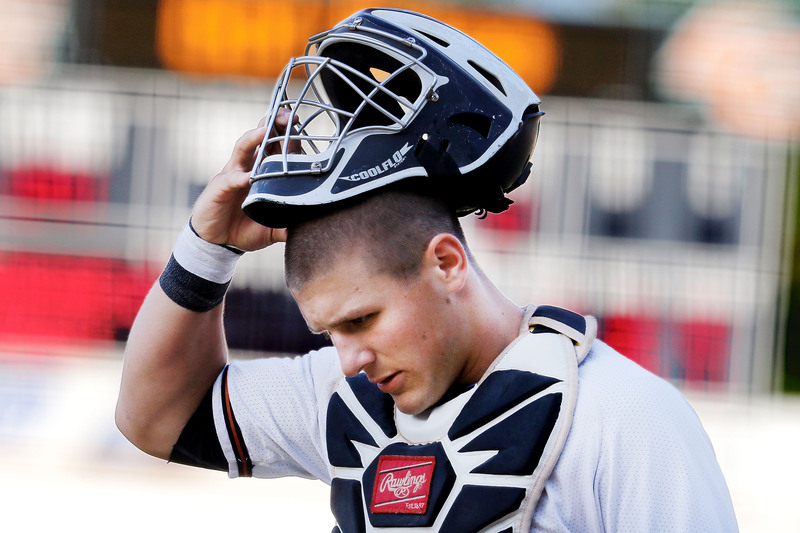 Even with room to grow defensively, Doffek is confident Varsho will remain behind the plate in professional baseball. While Varsho will likely receive an opportunity to turn pro come June’s draft, he’s only focused on his junior season with the Panthers and leading the team to a NCAA tournament appearance.